One of the oldest cities of Iran, with desert architecture, an important Zoroastrian center since Sassanian time that has kept Fire Temple and Dakhmehs ( Towers of Silence) , a prosperous city standing at the cross – roads of the most important caravan routes from central Asia and India to the south and West has the name of Yazd . Marco polo, who came here on his way to China in 1212, called it ” The Good and Noble City of Yazd ” . 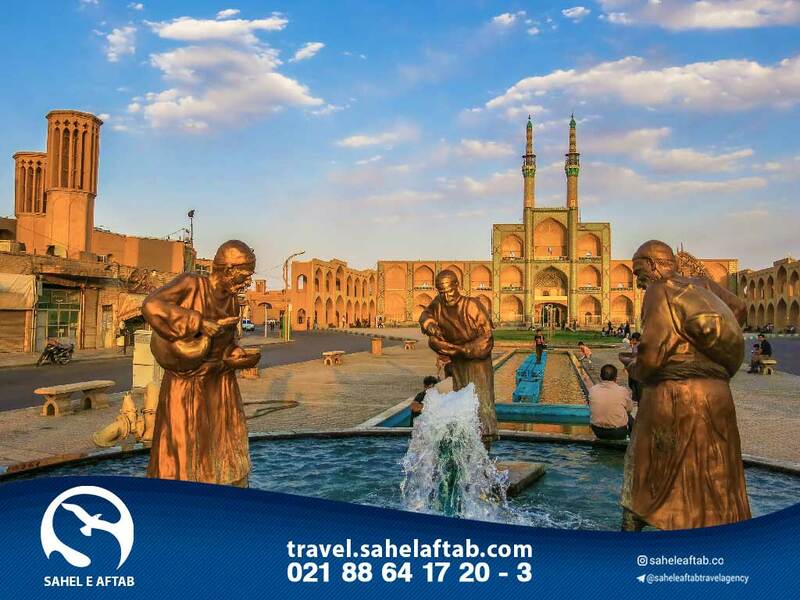 Yazd is the capital of Yazd province and the center of Iran. This city is one of the metropolises of Iran. Between the hills of Shirkooh and Kharanagh and in the wide plain called ‘Yazd plain’ of Ardakan. The world’s first deposit box was built in the city’s civilization in 1700 years ago. The peak of the Yazd expansion since the eighth century AH and the Atabankan of Yazd are among the most important factors of the city’s development in the past centuries. Yazd is located in the Central Plateau of Iran. The historic texture of Yazd city was registered on March 16, 2005 with the registration number 15000 as one of the national remains of Iran. Yazd was registered on the UNESCO World Heritage List for its invaluable historical architecture and its intact texture on July 18, 1396. The city’s most prominent feature is its particular desert architecture. Pylons, minarets and domes are the most obvious architectural aspect of the city. In this architecture, the wind-up was used to capture wind and cool the building’s space. In the center of each neighborhood, there is usually a bath, a bazaar, a water storage, a mosque, a hoseinieh, a lord, small workshops, a jet of water (to access the aqueduct), many of which are still alive. In some sources, some of the cities of this province, such as MEYBOD, have been attributed to Suleiman the Prophet (Yazd) to Zahak, Alexander the Macedonians and to Ibrahim the Prophet. This reflects the ancient and historical background of the land and people of this land. The collection of ancient sculptures in this province also contributes to this historical background.
. Researchers from this area, located on the highways of the ancient (Ray – Kerman) and (Pars – Khorasan), have been considered as far-off regions of the Medes.